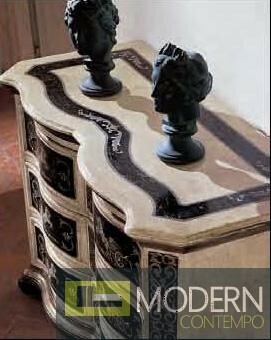 This attractive piece of furniture is imported direct from Italy. 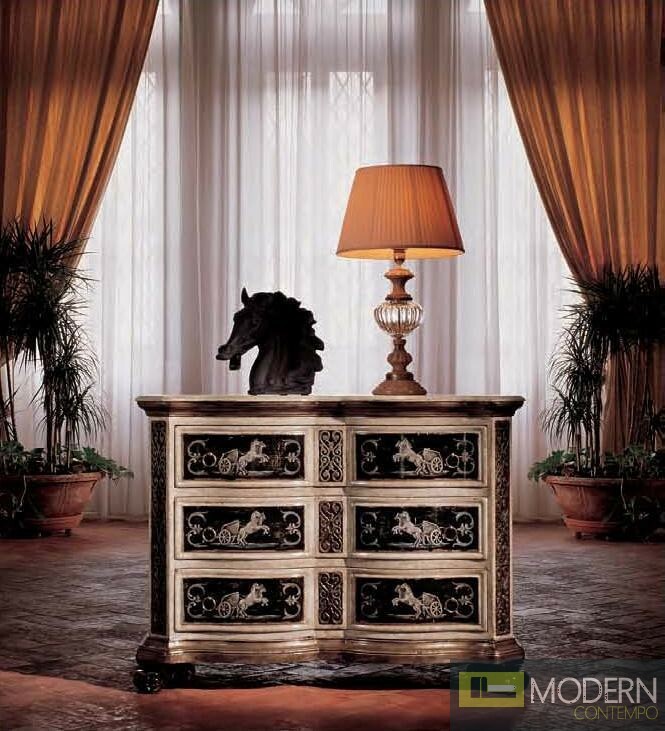 This vintage chest is constructed entirely of strong hardwood and coated in an opaque, white, finish. The several drawers provide important storage space. 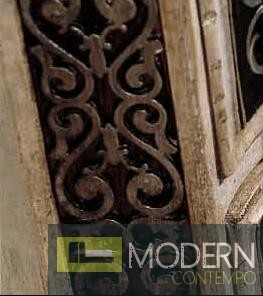 The intricate, carved detailing of this chest gives it a level of unmatched beauty. W54.3" x D23.6" x H38.6"